Founding Malletmuse | Tilo Weber. I’m founding a new label with famous American vibraphonist David Friedman. The first release of Malletmuse Records is called “Thursday”. 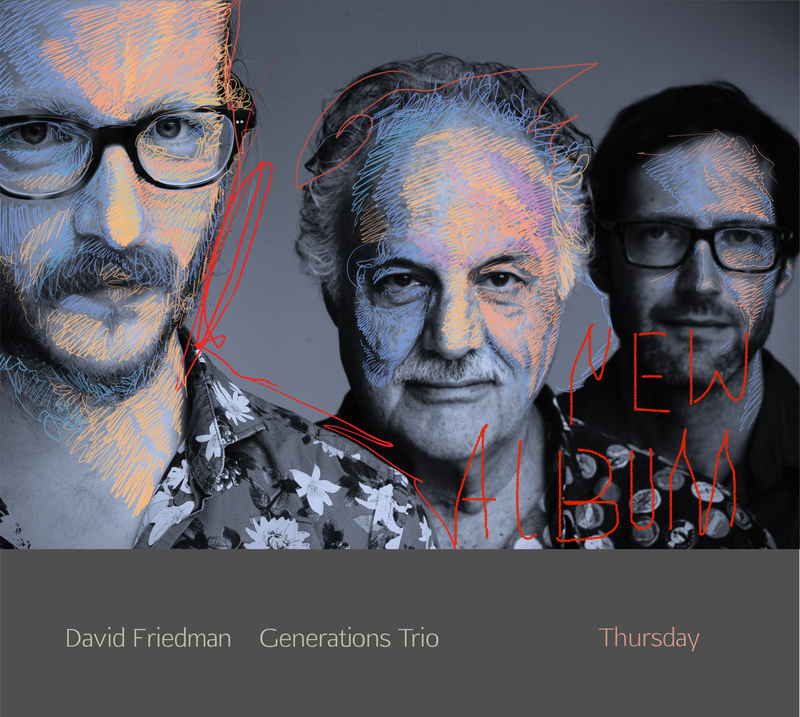 It’s the very first record of David’s new “Generations Trio” with Oliver Potratz on bass and myself on drums. We are very happy about this album! You can have a listen here! This album will be available for high quality download at our online shop on 29th march 2018. The physical release is on 12th april 2018. The cover photo was taken by Oliver Potratz and the artwork was made by Liz Kosack.